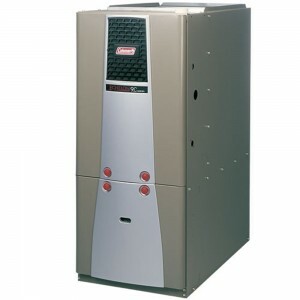 Colman Echelon™ Series Gas Furnaces Raise your comfort level with Colman’s most advanced gas furnace technology. ENERGY STAR® qualifying efficiency up to 98% AFUE provides more heat for less money. Cut fuel costs nearly 38% compared to old models. Wire into advanced Residential Communicating Control for even more savings.